We're very proud to share that Brian was recognized last night by the Workforce Housing Coalition of the Greater Seacoast as the 'Business Leader' of the year. Wow. It's been a very busy summer at Manypenny Murphy Architecture. We've had a great time starting in on some exciting new projects and completing others. Some news we share with mixed emotions is that Michael is leaving us - for the big city! I had the wonderful opportunity to spend over a month in Peru, traveling around the country and volunteering with a construction crew. After a few too many pisco sours in the world’s highest Irish pub, walking through the misty ruins of Machu Picchu, seeing a condor, getting my hands dirty, and meeting lifelong friends from around the world, my voluntourist adventure has come to an end just in time for a proper New England winter. I lived with two great host parents and a dozen other volunteers in the bustling city of Cusco. For those whose geography is a bit rusty, Peru is located in western South America. Incredibly diverse in ecology, the country has everything from tropical rainforests to snowcapped mountains and arid coastal deserts. Lima, Peru's capital, has over eight million inhabitants! Cusco, located in the southeastern part of the country and with only around 450,000 inhabitants, is most recognized for its status as the former capital of the Incan Empire. In the following posts, I ramble about a range of topics from Peru’s rich architectural heritage and the country’s wild landscape, to the joys and sorrows of communal living and the inventive ways in which Cusquenans construct their city almost entirely by hand. “Mother Earth, witness how my enemies shed my blood,” was the dramatic epilogue of the Incan Empire, with the execution of Tupac Amaru, the final Sapa Inca (king). Yes, Tupac Shakur was named after him. Despite the violent end of the Inca Empire, the descendants of Peru’s indigenous inhabitants have had the last laugh in many ways. Quechua and Aymara are both official languages in Peru and millions speak them as a first language. The Catholic cathedrals built upon the ruins of Incan palaces and temples are full of… curiosities. Bodacious Virgin Mary’s are in fact clever representations of Pachamama, or Mother Earth. Her expansive dress is a metaphor for the fertile, mountainous landscapes of the Sacred Valley. 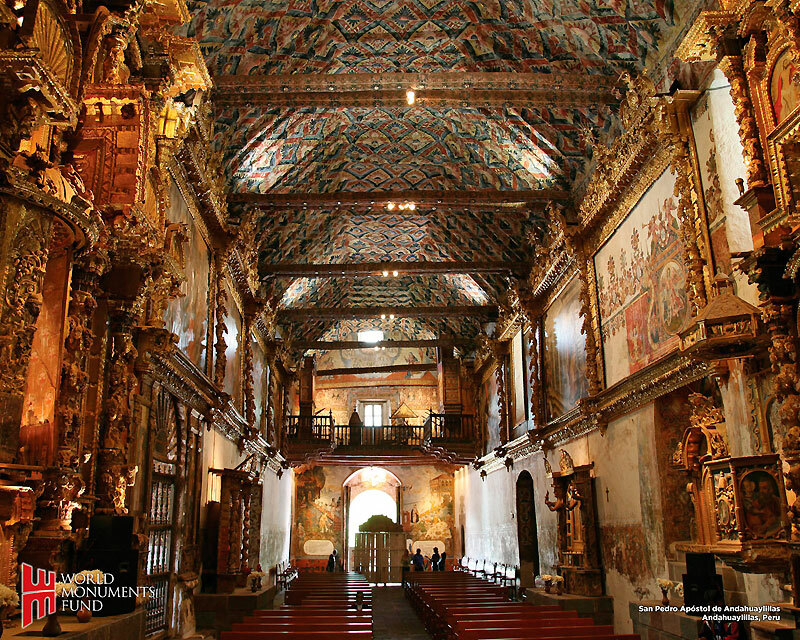 The Spanish exploited thousands of indigenous slaves to construct Cusco’s cathedrals. While the Spanish called the shots, the indigenous people of Peru did the work and were able to preserve their aesthetic traditions. While some indigenous artists were given Spanish names and sent to Europe to learn from the masters, they were able to graft their own religious traditions onto the works they were commissioned to create. In a depiction of the Last Supper, Christ is feasting on cuy (guinea pig), a local delicacy. Angels’ wings are the rainbow-colored wings of parrots, not your typical pure white. The corners of towers are oftentimes zigzagged, a tipping of the hat to Incan ideas of cyclical life and regeneration. Cusco is a brilliant example of syncretism, or the mixing of belief systems and cultures to produce a hybrid result. The Catholic Church, more concerned with establishing loyalty to the Crown than rigidly enforcing strict aesthetic/ritualistic codes, condoned these behaviors as a means of attracting indigenous people to the Church. Hundreds of years later, these aesthetic traditions are cemented in the local expression of the religion itself, which is omnipresent. For whatever reason, it doesn’t matter if people are worshipping the Virgin Mary or Pachamama. In Cusco, they can be one in the same. The architectural contrasts are not as easily reconcilable. Spanish colonial mansions appear to grow out of the surviving Incan walls. The Inca, for whom light and connection to the earth was paramount, designed vast enclosures exposed to the ground and sky. The buildings themselves were constructed of intricately carved, massive stones. The Inca knew how to create seams so tight that a single piece of paper cannot be slipped in between two stones to this day; they also developed techniques to mitigate the effect of earthquakes on their buildings. The trapezoid took on ritualistic significance in the doorways of important buildings but also reflects engineering prowess. Gravity bears down on the thicker bases of Incan construction (same concept as the Eiffel Tower). In contrast to the enclosed courtyards open to the sky, Incan interiors were oftentimes dark and adorned with niches for storage/offerings. Originally, they were painted bright white or red. Architecture dorks, think back to that devastating lecture on polychromy. The thatched roofs were supported by wooden beams which have long since decayed. Spanish ecclesiastical architecture, on the other hand, was all about bringing the light of God into church interiors to dazzle parishioners. Another major element of Spanish colonial architecture is the patio (courtyard) that responds to the hotter climates of Latin America and reflects status. For visitors today, there is also the question of the oddly proportioned wooden doors and grand foyers that lead into these courtyards. The horse, unknown to indigenous people, is the answer to that. The decorative fountains in the center of the courtyards served more than a decorative purpose as horses trotted in for nourishment. The main cathedral in Cusco's Plaza de Armas is as impressive as any in Europe and took almost one hundred years to build. The buildings that face the square include exquisitely carved wooden balconies that date back to the colonial era. The same sense of ingenuity that moved boulders and raised cathedrals is alive and well, in its own way. Construction is everywhere in Cusco, a city of over 500,000 people. The city is comprised of mostly 3-6 story buildings that are a collage of concrete, terra cotta, plaster and paint. Taller buildings are becoming more commonplace along the main avenues, beginning to obscure the panorama of hills and mountains that frame the city. Buildings are constructed in phases over the course of years and the phases are easily discernible. The tops of many buildings are capped with bursts of exposed rebar, which will one day become columns to support subsequent floors. Roofs are either flat, sloped with ceramic tiles or corrugated metal sheets that are weighed down by rocks. Terra cotta walls will one day be covered by plaster and, with luck, painted some bright color to contribute to the city’s confetti palette. The most incredible thing about Cusquenan architecture is the fact that the vast majority is done by human labor with marginal help from machinery. I had the opportunity to witness this process in person, having spent the past month volunteering on a construction crew, helping with the construction of a kindergarten. I participated in a concrete party, where we poured the building’s second floor by hand. To complicate things, the handmade concrete had to be transported from the base of a steep hill to the school itself. Watching a 60+ year old Peruvian man carry full buckets of concrete up a hill over a dozen times is certainly something to behold. I’m proud of my 3+ trips of half bucketfuls myself. I quit, exasperated, after the bucket gave out under me and deposited wet concrete about 10 feet from the final destination. Instead, I made myself useful by schlepping the delivered buckets to the second floor itself. In addition to the work, the event was sold to the community as a party, which meant food and chicha (corn beer) were a must. By the late afternoon, the slightly-intoxicated crowd lost all sense of purpose. A local government official had to rally the companeros to action as us sober volunteers looked on. One can’t really give up on a concrete party; the task is either completed or not. After hundreds of bucket runs, the second floor finally took shape on top of the precarious framework of wood and Styrofoam. Laborers removed air pockets by swirling large sticks through the wet concrete. On top of getting ever-so-slightly-more-buff and a killer tan from the overcast-but-intense Peruvian sky, the work was like the Ghost of Architecture School Past. Facts like: even dry concrete takes time to set to full strength or that concrete is aggregate, water and cement. It’s hard to forget about the characteristics of the aggregate after spending hours carrying it up a hill. Personally constructing the rebar frame, following specific instructions regarding the spacing of hand-bent metal, revealed the building’s major points of stress. “Rebar + concrete performs well both in tension and compression,” says a Building Systems professor in the back of my head. After the concrete had finally dried to full strength, we spent days removing the wood formwork from the building, revealing a fairly spacious interior. The temporary wooden structure was made of eucalyptus. A quirky bit of history, the Australian government sent eucalyptus trees to Peru at the end of the 19th century to prevent the mountains around Cusco from eroding into the city. As for the wooden formwork, that had to be carried back to a community center under construction, another example of Peruvian ingenuity. All of the formwork from the first floor was diligently de-nailed for eventual use on the future second floor. Although the school’s construction is only possible because of the expertise of our intrepid foreman, the unskilled yet dedicated help of volunteers and support from the community at large, the architect in me was always thinking “what if.” The skills required for someone to direct unskilled labor to construct a coherent vision from memory are impressive to be sure. “There is no plan; the plans are up here, in my head,” my foreman told me one day. With renewed interest in the vernacular as a result of Modernism’s foibles, this process was enlightening for a veteran of the U.S.’s design-based, aesthetically-ambiguous-but-somehow-contemporary system of architectural education. Side note: The Barefoot Architect is an excellent resource for low-cost, climactically-specific design solutions. At the same time, the process further entrenched the idea that simple design considerations can make a world of difference. Peru does not lack earth, sun, air or rain (for a solid half of the year, at least). Passive systems can go a long way in a place like this. Nonetheless, our building was not oriented east-west to take advantage of the arc of the sun. An open or glazed North façade (South in the Northern hemisphere) would have yielded vastly different spatial qualities than the small apertures allowed for. Although the building was small, it will certainly be dependent on artificial light for most of the day. Similarly, the potential exists for graywater collection systems that take advantage of the region’s rainy season. This could dramatically improve the state of plumbing and sanitation for the entire community. Terraced community gardens could provide a source of nutrition and structural stability for the hill upon which the school rests. Erosion is most certainly a problem, as evidenced by the trenches that we needed to dig and my multiple tumbles thanks to unstable terrain. Obviously, these solutions take time, money and diverse skillsets. I am not so presumptuous as to think that I have all of the answers or that my month-long volunteering stint provided me with limitless insight into a foreign community. I’m merely suggesting that design is and can continue to improve lives if it is approached with end users and communities in mind. Some of the systems mentioned above have been improvised by locals for generations without the luxury of fancy degrees or the aid of foreign architects. Design isn’t free, but sometimes something so simple as rotating a building 90 degrees before construction begins can make a world of difference in terms of energy usage and the quality of space. These lessons stick with me wherever I go, whether it’s a renovation or new construction. “What if…” is one of architecture’s greatest assets. Descending from the high and lofty world of theory, there is also the story of my living arrangements. Somewhere between hippie commune and bed and breakfast, my accommodations were just as profound as my volunteer work and travels. I lived with a dozen other volunteers from all over the world and two awesome host parents (an adorable couple who met when one of them was volunteering in Cusco herself). One shower; 1.5 bathrooms; you do the math. From “debates” (more like shouting matches or reeducation campaigns) about feminism to 90s rom com marathons, the house was always alive. I never went to summer camp as a kid so my top bunk living was a welcome experience. The sporadic hot water that was heated electrically and never let you forget it (occasional shocks from the shower head) were less welcome. It’s funny how rapidly you connect with people when quarters are close. People I might not have been friends with in the States suddenly become next of kin. There’s also the existential drama related to why one leaves home in the first place. For me, it’s an incurable case of wanderlust. For some of my peers, travel is a means to figure life out. Husbands were left, schools were dropped out of and jobs were quit. Living with strangers is kind of like having a free therapist in the sense that you have to figure out how to present yourself as you truly are from scratch to people who want to learn all about you and are doing the same thing themselves. And then all of a sudden they leave or you leave. I didn’t even have a chance to say goodbye to some of my closest new friends because they were off trekking in Huacachina or something. It doesn’t bother me though because I know that we’ll meet again somewhere, whether it’s at home or in Vietnam. I said I wouldn’t philosophize at the beginning of this segment but here we are. I find myself missing this communal arrangement and maybe if the dreamers of the 1960s figured out how to equitably do the dishes these arrangements would be more common. As much as I like my chic downtown apartment and awesome roommate, I long for beers on the terrace, collective dinners and always having people around. If I'm ever lucky enough to return, I know I'll have a home waiting for me!